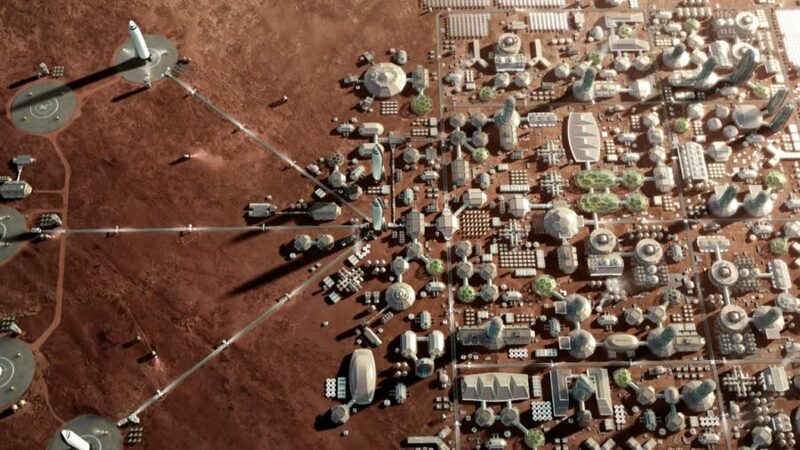 The constraints that must be taken into account for the establishment of a Martian Village are well known and solutions to the challenges they put, are theoretically possible. All that is missing is the will to implement them. The constraints are inherent to Mars’ specificities and our technological ability to deal with them. Two phases of preparation should be considered. The first is to substantiate on the theoretical level (feasibility studies) what we know and what we have designed, to carry up the necessary technologies to an acceptable Technology Readiness Level, and to structure the financial framework that will allow this concretization and the continuation of the project towards completion. The second is to build the necessary infrastructure for transport, accommodation and services on Mars, and the human operational capacity of the Martian village. Beyond, the problem, more difficult to solve than the establishment of the Martian village, will be to achieve creating the conditions of its sustainability. Success will depend on the dedication of private entrepreneurs who should be leading the project, on maintaining the support of the State agencies (NASA!) throughout the preparation and realization periods, and on getting a positive response of the Public among which the clients will arise. This response will be conditioned on the one hand by the affordability of the prices that the promoters of the Village will be able to offer and on the other hand, by the strength of the clients motivations in the field either of scientific research, or satisfaction of engineering feat or, plainly, adventure spirit. A lasting response will be conditioned by the ability of the Mars residents to make enough money individually and collectively, not to impose a seemingly everlasting burden onto their Earth promoters. Pierre Brisson was one of the founding members of the US Mars Society in 1998. He became member of the board of its French branch (“ Association Planète Mars”) in 2003 and re-founded its Swiss branch (“Mars Society Switzerland”) in 2009. He graduated as an economist (Master of Arts of the University of Virginia) and worked worldwide as a corporate banker in a major French institution but has always been an “amateur” planetologist. He is regularly organizing or giving conferences in Switzerland and France to spread the idea that Mankind must intensify its robotic and inhabited missions to Mars. He is also contributing one post each week in his blog “exploration spatiale” hosted by Swiss French speaking newspaper Le Temps.